I always wondered how kids could get so dirty, then I started working at the school. From crawling and rolling, to napping and eating nothing is cleaning when you are a child! lol With all the dirt washing often is a must and making it fun can be very important. Being a mom who has kids with sensitive skin it is a must to have a product that is made just for them. 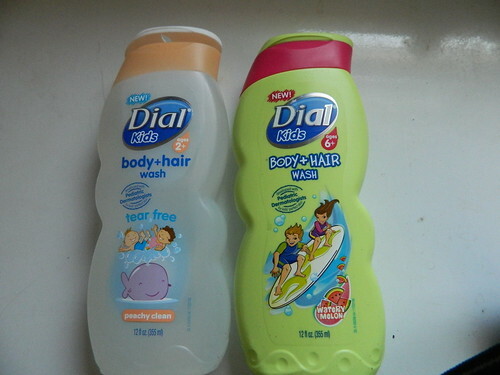 Recently as part of the Purex Insiders program I was given a chance to review the new Dial Kids Shampoo and Body Wash. My kids really loved the fun new smells of the body washes. Watermelon was by far their favorite! Best of all it did the job by keeping them clean and smell fresh. My kids are by far not the cleanest kids, and honestly I figure if they are dirty they are having fun, unfortunately they can't run around like a bunch of little rag dolls all the time. With the temps hitting 90 degrees already we are spending a lot of time outside! What does outside time mean?? Well it means getting dirty of course, whether we are digging in the garden or sliding down the slide it is never a dull moment! After much washing and and many bubbly fun nights their skin has not reacted to this soap which is great for us :) I highly recommend this product to anyone with children.